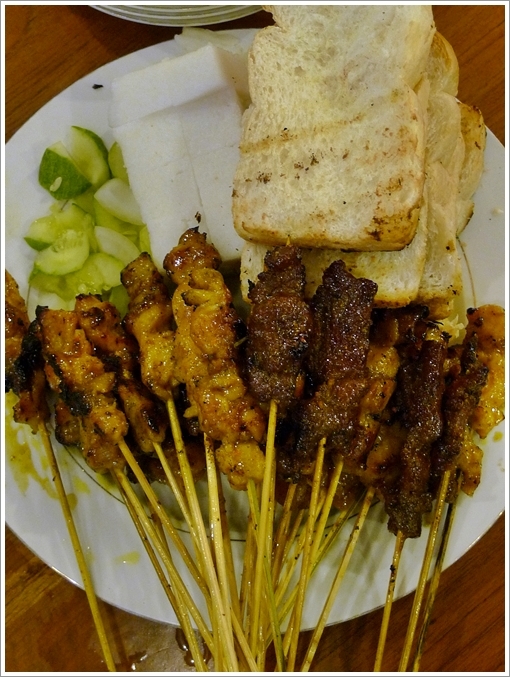 The undisputed Malaysian Street Food – Chunks of grilled marinated chicken and beef on skewers, served with the conventional sides of cucumber and ‘nasi himpit’ as well as their signature grilled thick, white bread. Continuing the Kelantan 2009 saga (read the first chapter on Pasar Besar Siti Khadijah & various Kelantanese kuih-muih), let’s see what we had for dinner on one of the nights spent in Kota Bharu; the capital of Kelantan. We were initially gunning for some other cuisine (I think it was supposed to be a killer tom yam restaurant, somewhere near to KB Mall; the famous shopping complex of Kota Bharu), but the lack of proper directions led us to a half shack-half dilapidated eatery. 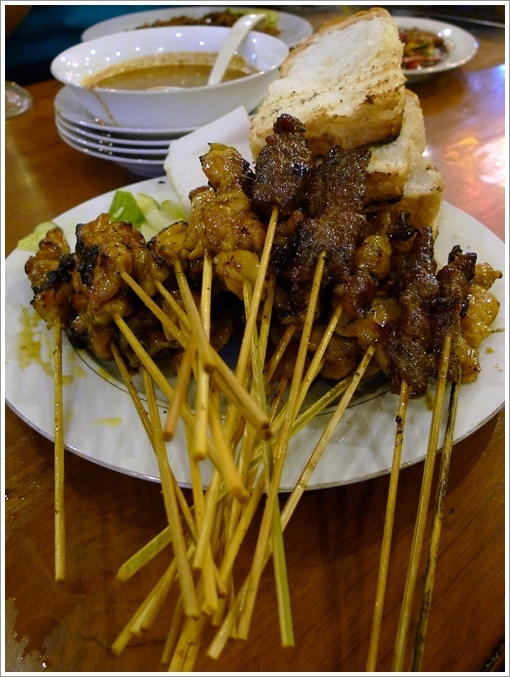 Not as alluring as we initially have expected, we adjourned to a backup plan ….. Satay Malaysia Restaurant on Jalan Pengkalan Chepa, a distance away from town centre. Firing up the charcoal, grilling the sticks of satay with much gusto. NOT the easiest job in the world, believe me. The standing fan acts to fan the fire, so the heat would be more intense and the smokiness from the charcoal fire imparted to the succulent meats. The restaurant is hard to miss. A huge compound occupied by a two-floors structure; almost passing off as a bungalow. But you will see most patrons prefer to be seated on the outside of the restaurant. Eating satay blown by the breeze of the night; dining al fresco if you will, complements the Malaysian hawker food experience perfectly. 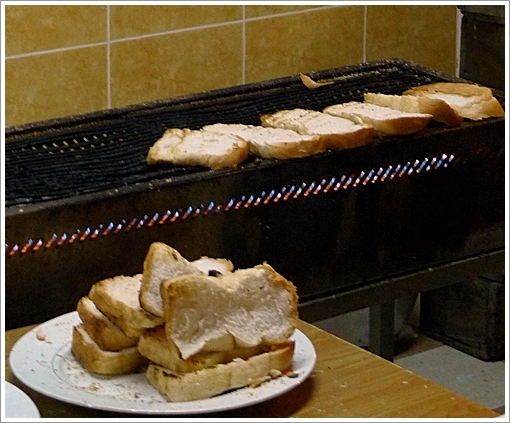 Not something you can find easily in the other satay outlets, at Satay Malaysia, they throw the thick, Benggali bread on the grill and roast them until slightly toasted, with charred sides. 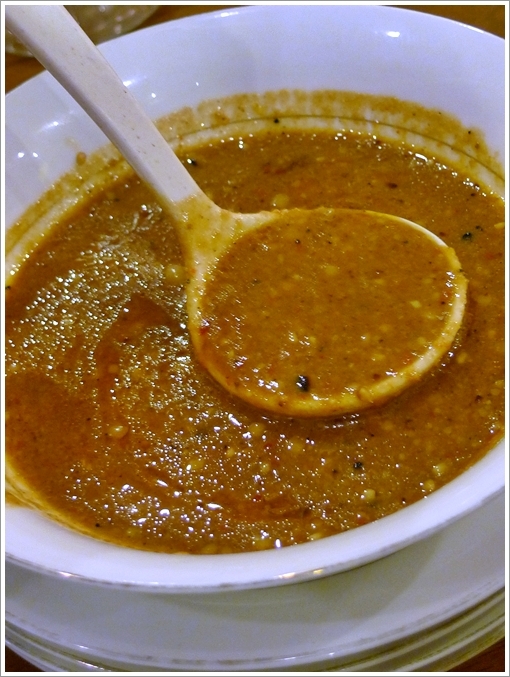 Usually eaten as sides; Satay complements any feast perfectly. Or just have 10-20 sticks to yourself, and be carried away by the loads of protein. 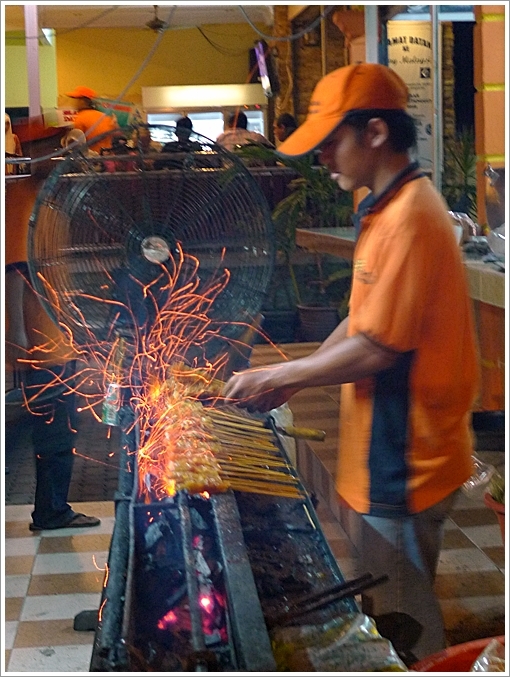 The restaurant serves a variety of dishes alongside their famous satay. 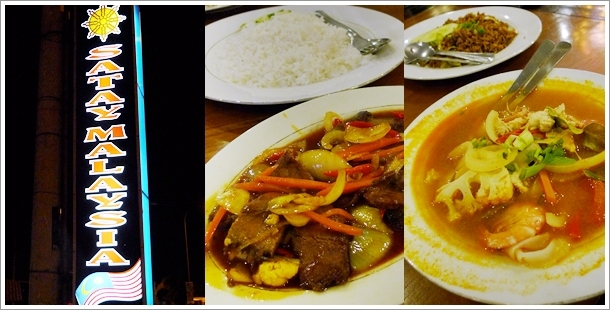 You can have the usual fried rice, fried noodles, nasi daging merah, tom yum soup, etc. A stick of satay for about 60 cents, I believe. But I have lost the receipt, so don’t quote me on this. 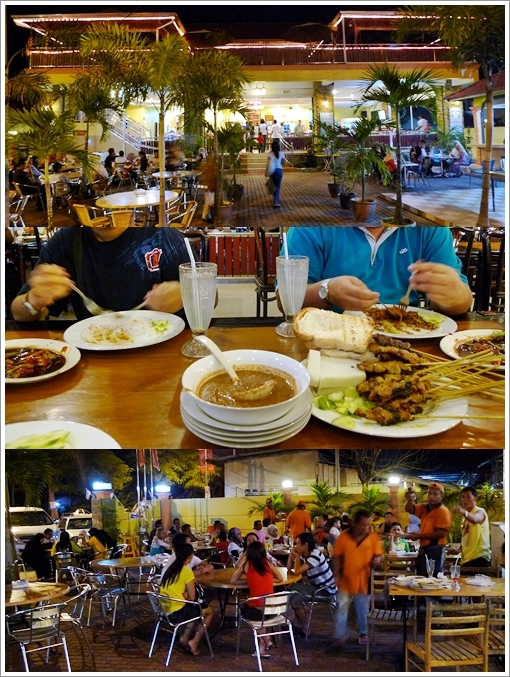 Satay Malaysia @ Jalan Pengkalan Chepa, Kota Bharu, Kelantan – A perfect place for gathering, a family dinner, or simply when you wanna stuff your face at odd hours of the night. The other dishes that were neither utterly delicious, nor noteworthy. Stick with their Satay, and you’re safe. You can get the coordinates and a brief article from wikimapia HERE. 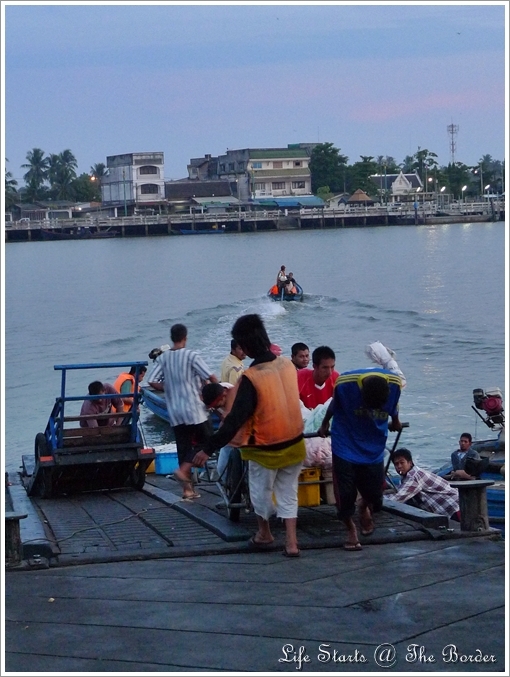 Since this was NOT a holiday, I must insert a photo or two of the pier separating Golok in Thailand and Rantau Panjang of Kelantan, Malaysia. Our work started before the dawn; hence we bear witness to the heartwarming scene of early morning traders carting their fresh produce transported on boats from the other side of the river. Good thing was that Sungai Golok (Golok River) is not an exactly wide river, nor one with rocky currents. And you can see the town of Golok with your naked eyes without much squinting, as seen from the picture above. We persevered and we waited for dawn to break. 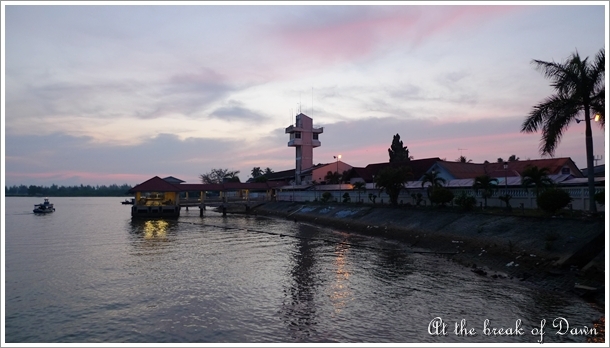 Wondering where we stayed in Kota Bharu, and what else we did or ate? Find out in the subsequent installments …..
Yeah, me too. Usually only ketupat, nasi impit, cucumber and onions. But wise choice to serve the bread, so the sauce won’t go to waste. You know… I used to get my satay man here to grill my own bread: P He normally would brush some spicy turmeric oil to the bread prior to grilling. It did give the bread slices the extra flavors. Regarding the tenderness of the meat other than chicken, I found most satay handlers don’t really know how to handle the meat well… err.. even hotels. You’ll need a saw most of the time.. . LOL! P/s: I found a nice pan mee soup in Ipoh as in my latest post. Have you tried them out? Pan Mee soup in where ah? The one near to Jusco/Tesco in Ipoh Garden East? I can’t wait to know where you stayed? Pasir Belanda? There used to be a Hainan man selling pork meat, pork intestine satay together with bread in Penang during the 70’s.He was peddling around Georgetown and finally settled down near a coffee shop in Kampung Malabar in early 80’s. I stayed in KB town. Hehe …. not sure where’s Pasir Belanda though. but I did not like the sauce as much. Best satay is eaten with a spoon! To scoop up all that sinful sauce, of coz. anyone have satay malaysia’s contact number?